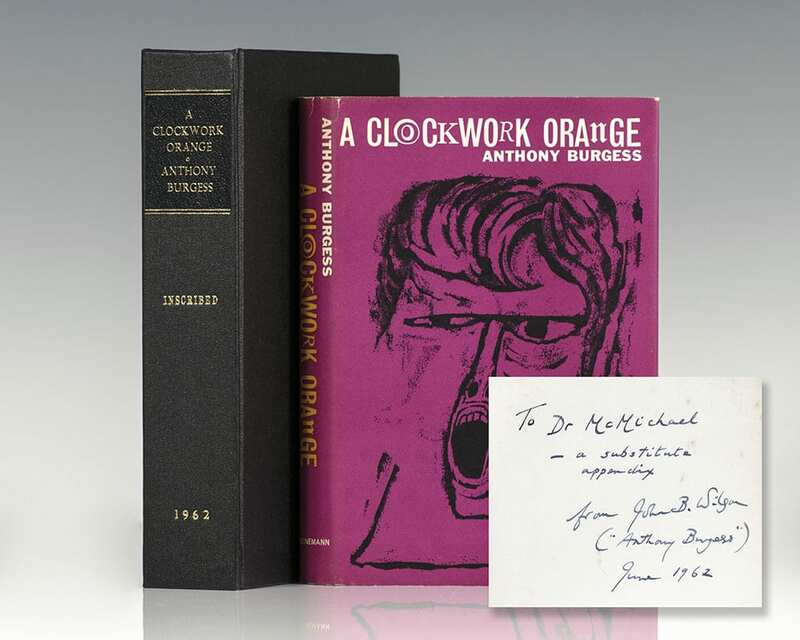 A Clockwork Orange is a nightmare vision of the future told in its own fantastically inventive lexicon, it has since become a classic of modern literature. 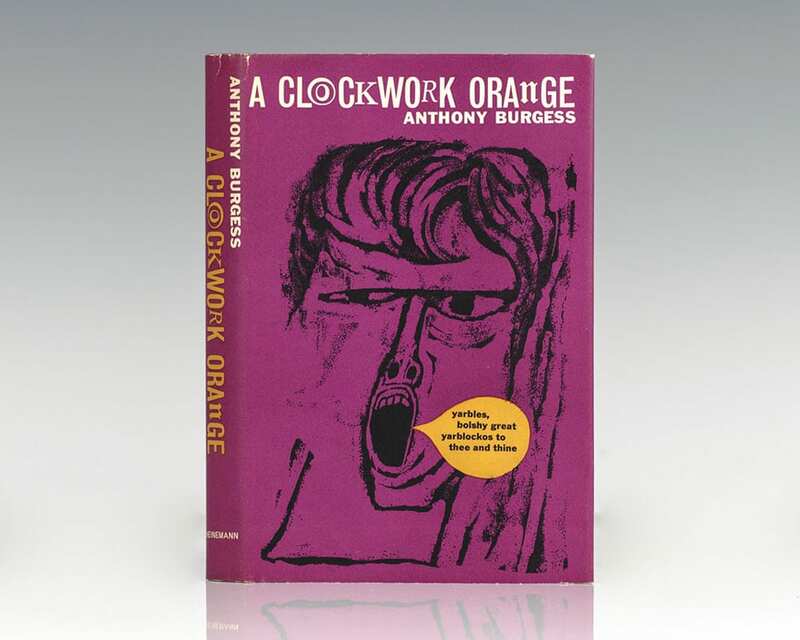 Roald Dahl hailed it “A terrifying and marvelous book.” Inspired in part by an attack on Burgess’ pregnant wife, Burgess’ most famous novel is a “compelling and often comic vision of the way violence comes to dominate the mind” (Clute & Nicholls, 175). “The most discussed aspect of this book is the slang Burgess created for his teenaged characters. 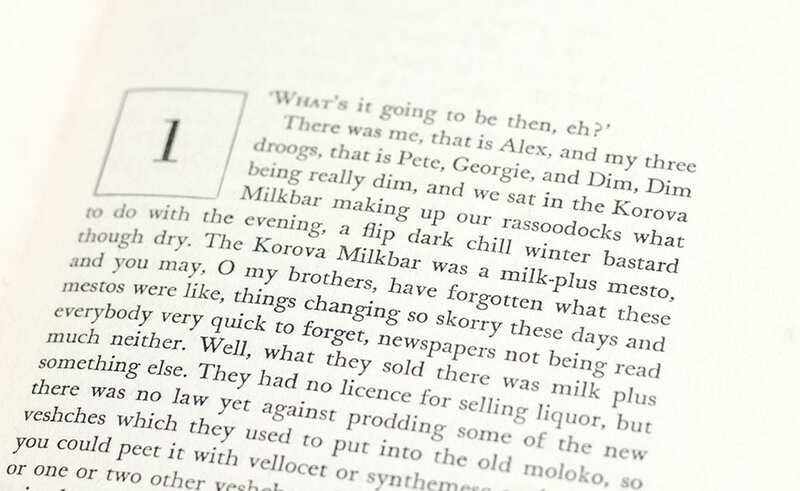 Called ‘nadsat,’ it combines Cockney slang with Russian… A Clockwork Orange serves as a forum for the discussion of the nature of language and the conflicts between free will and determinism” (New York Public Library, Books of the Century, 164). The cinematic adaptation of Burgess’s haunting tale was accidental. Screenplay writer Terry Southern gave Stanley Kubrick a copy of the novel, but, as he was developing a Napoleon Bonaparte–related project, Kubrick put it aside. 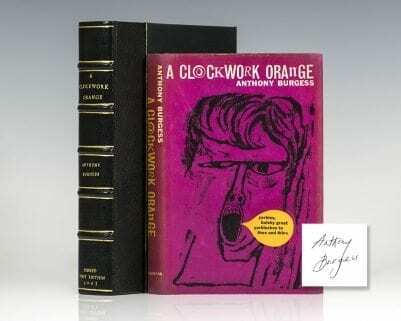 Soon afterward, however, the Bonaparte project was canceled and, sometime later, Kubrick happened upon the novel. It had an immediate impact. Of his enthusiasm for it, Kubrick said, “I was excited by everything about it: The plot, the ideas, the characters, and, of course, the language. The story functions, of course, on several levels: Political, sociological, philosophical, and, what’s most important, on a dreamlike psychological-symbolic level”. 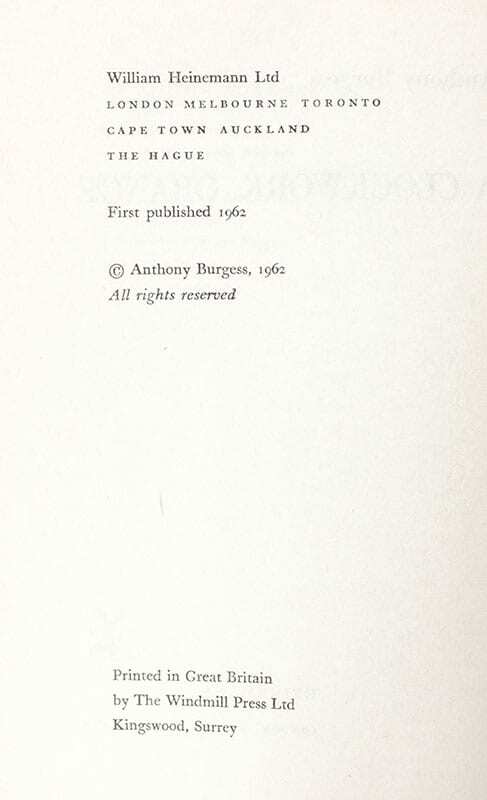 Kubrick wrote a screenplay faithful to the novel, saying, “I think whatever Burgess had to say about the story was said in the book, but I did invent a few useful narrative ideas and reshape some of the scenes.” The film premiered in 1971 starring Malcolm McDowell with a memorable soundtrack composed by Walter Carlos. 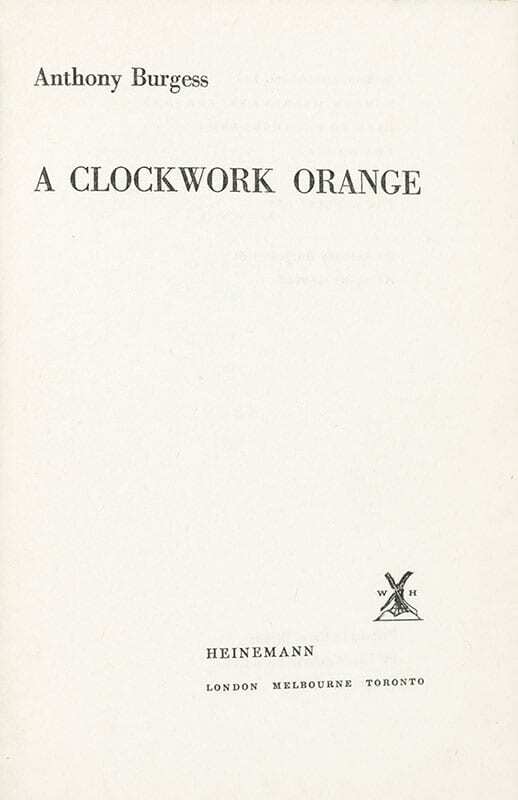 Named by Modern Library as one of the 100 greatest novels of the twentieth century and by TIME magazine as one of the 100 best English-languange novels since 1923.